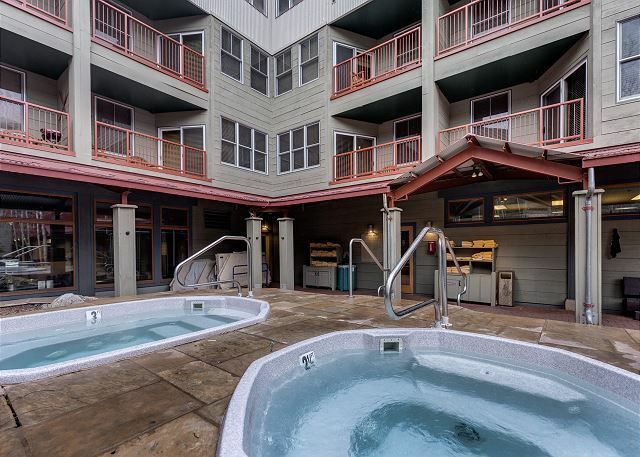 Kitchen has dark granite countertops and stainless steel appliances, while the private balcony features village views. 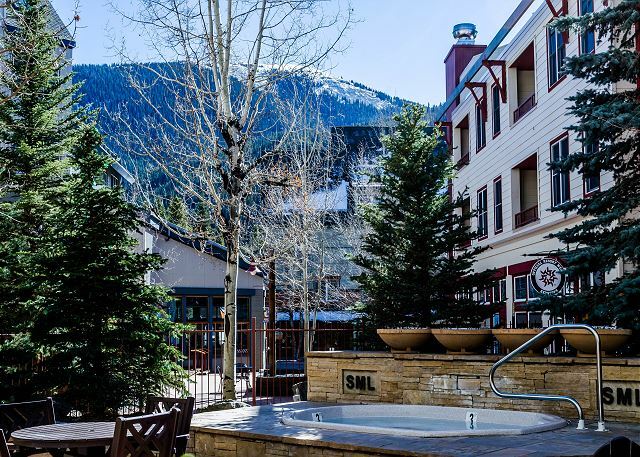 Ideally located in River Run Village so you're just a short walk from shops, restaurants and the gondola. This 830 square foot 2-bedroom, 2-bathroom condo sleeps six and features beautiful décor throughout as well as granite countertops and stainless steel appliances in the kitchen. 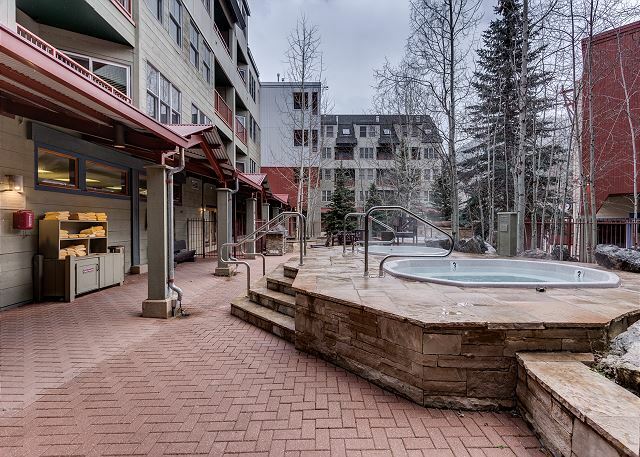 The private balcony overlooks River Run Village, and you’re ideally located steps away from shopping and restaurants and you’re just a short walk from the high-speed gondola. 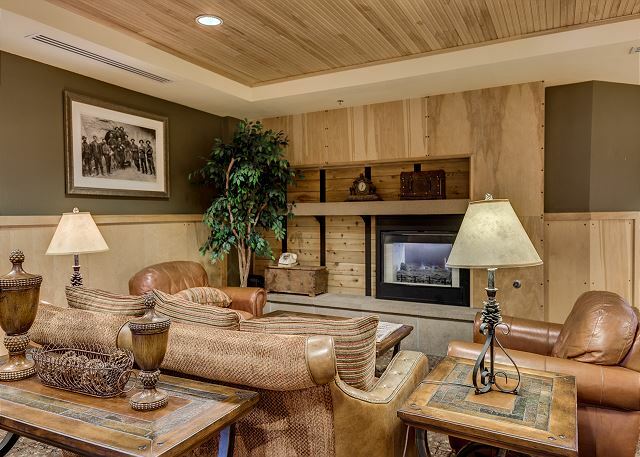 The living area features a large flat screen TV mounted above a beautiful gas fireplace and a queen-sized sleeper sofa. Additional sheets and blankets are in a closet. Just off the living area is the private balcony that overlooks River Run Village. The full-sized kitchen is stocked with all the essential cookware and tableware to make a meal away from home and features dark granite countertops and stainless steel appliances. The dining area comfortably seats four with two additional seats at the breakfast bar. The first of two full bathrooms is just off of the living area and has a pedestal sink and shower/tub combination. Both bathrooms are stocked with towels and an initial supply of toiletries. The master bedroom features a king-sized bed with Ivory White Bedding. The en suite bathroom has double sinks, a shower/tub combination and a door separates the toilet area for added privacy. The guest bedroom has a mounted flat screen TV and a queen-sized bed with Ivory White Bedding. Location was great. Parking was plentiful. Everything in the unit was functioning properly. Beds were comfortable, even the kids were able to sleep on the fold out couch. We really enjoyed being able to look out over the square and see the gondola and slopes from the balcony and windows. There was only one minor detail that could be improved. The balcony was not cleaned before our stay. There were ash piles and cigarette butts. Condo is right next to the stairs at the end of the building closest to the bridge. We loved being right in the heart of the village. Wonderful views. Well maintained and stocked. Right on the square and quiet too! I would rent this place again in a heartbeat. The unit was very nice, but the property management company was not thorough in prepping the unit for our stay, e.g. missing spoons, missing humidifier part, dead batteries in remotes, finger smears on the patio doors. The property management company also took 3 days to respond to a text to their help line. The property was great. The room was beautiful. My only concern was the water was off when we arrived. The build needed to repair some plumbing so all water was off. Repaid took longer than expected but water was turned back on before the evening was over. It was the day we arrived and we weren’t notified in advance. This would of been helpful to know so we could make arrangements. The property manager was not informed by keystone mgt so there was not much that could of been done. 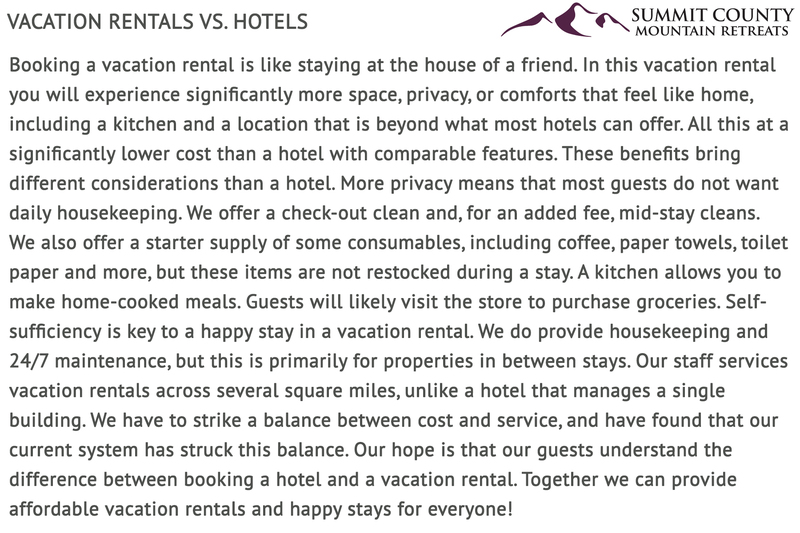 Summit county retreats took care of our troubles that first night. We stayed at the property for a work conference and it was just what we needed. The property management company was very helpful, especially accommodating since our shuttle from the airport arrived well before check-in time, so they let us keep our luggage at the office until we could check in. It was no problem at all. We really liked the rental property. It was very clean, quiet and the beds were comfortable. All around, we had a great experience, which is always great when you don't have time to mess around with any issues at all. This condo is gorgeous! We LOVED it! Will request to stay there again! Went to the wine and jazz festival and had a FANTASTIC time! This condo was very cozy and comfortable. Best condo we have stayed in to date. Clean on arrival and decorations made it even better. Plan on booking it the same condo for January. Thank you for the feedback. Our housekeeping staff should not have missed those items. We will follow up and determine why this happened so it can be prevented in the future. We hope to host you again! We started out with this condo not being able to check in early due to other guests which was not a deal breaker. But we wanted to get up the mountain on the free gondola ride at 3pm since it closes at 6. Before check in we were told the shower was broke and we would be without a shower in the unit. We had 6 guests staying so this was going to be interesting. They were unable to fix the shower our whole stay which we dealt with. The annoying part was the dripping water all night long in the unit in the master bedroom. However we made it all work. Plus the mgmt. company did give us a half of a night in price off, and Summit County did bring us a bottle of wine which made us all forget about the hassle of it all. The only other things I would mention is there was no screen on the window in the master bedroom. One of the blinds wasn't working properly and the weather seal goin out to balcony was coming off. Just minor things so I gave the overall condition a 4. Other than that its an amazing condo we watched the concerts straight from there, and I would consider staying here again in the future. Thank you for the feedback and we appreciate your understanding with the inconveniences. We will have our maintenance staff look at some of the other issues mentioned. We're glad you enjoyed your stay otherwise and hope to host you again. Good place, nicely furnished and clean. Would rent again. We love River Run and staying in Keystone, but the entire village was closed for construction and that wasn’t disclosed. Incredibly disappointed to find out once we got there. We refused to let that ruin our weekend so we made trips to Breck, Dillon, and Vail. Normally we would just stay and enjoy the condo. The actual property was nice. The fireplace didn’t work well, there was a missing a screen in the master bedroom and hand soap in the bathrooms but we improvised, everything else was great. We would definitely book this condo after June 8th. Location was amazing! Everything was updated! Perfect for our family! We will be back! Thank you! It was beautiful very clean and spacious. A couple of little things didn’t work but overall it was perfect. 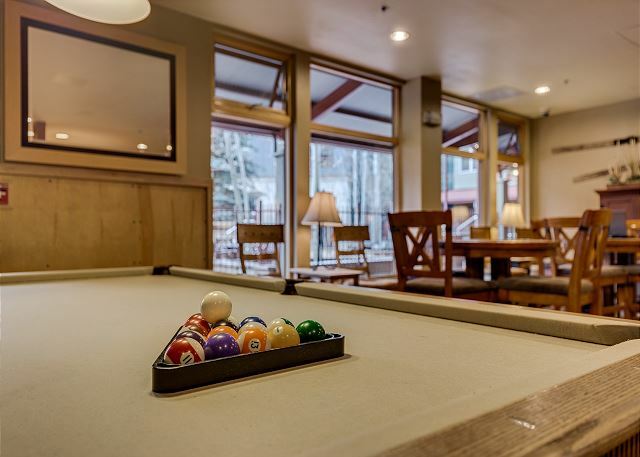 Perfectly located by the tubing and shops and good food! Highly recommend this place. We didn’t ski and there was still so many things for us to do especially for kids! Place was roomy and nice, couldn't get the fireplace to work even though I have plenty experience with gas fireplaces. Apple TV remote didn't have batteries. We appreciate the feedback. We encourage guests to contact us during their stay with any issues so we can help resolve them. Our contact information is on the keycard, in the Guest Information Portal and other places. We want all our guests to enjoy their stays! The condo is fabulous! It is beautifully decorated and the location was perfect! Right in the square and the stairs are right by the condo so access was easy! The kitchen has EVERYTHING you can imagine you would ever need. From plates to a corkscrew! We have never stayed in a place that was so stocked. The only things we needed more of was toilet paper , paper towels and 2-3 more trash bags!!!! Beds comfy, lots of pillows and blankets and towels! Oh needed more dish towels! The bed configuration changed from our reservation to our actual stay and the bunk beds were gone which caused us to have to double up on the fold out couch. We would stay there again and again!!! 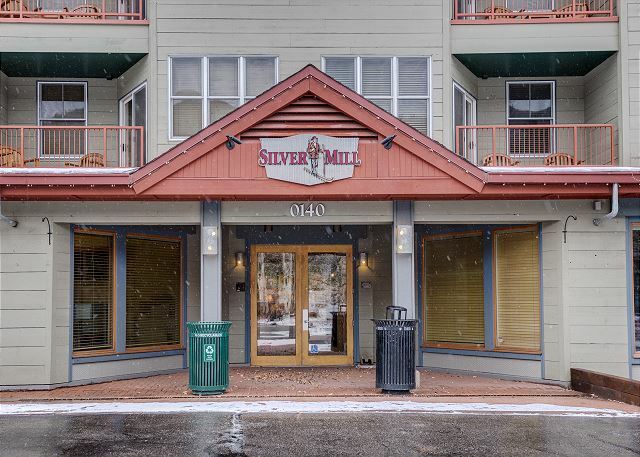 Have stayed in just about all the complexes at River Run over the past 6 seasons but this was first time for Silver Mill. 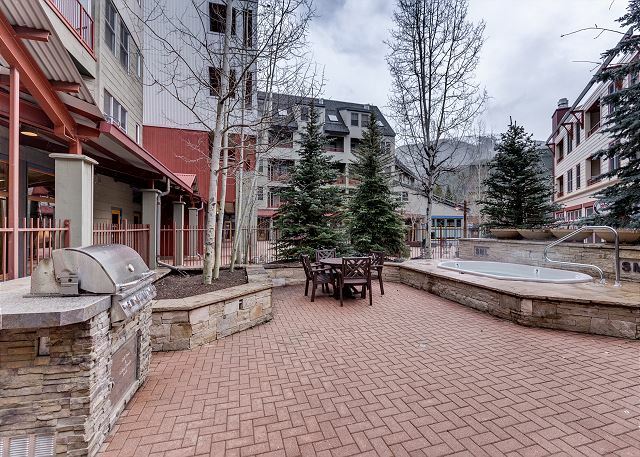 Condo #8214 was fine and overlooked the RR courtyard nicely but it is a hike from the elevator which is good and bad. The photos on the SCMR website need updating as they showed a bunk bed in the second bedroom, however, actually it was a queen. 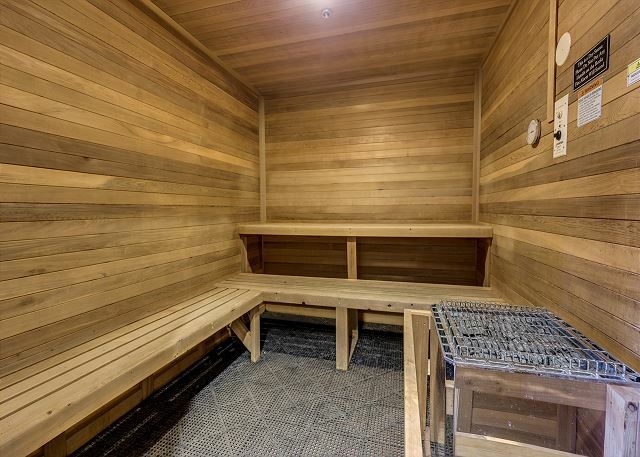 The text in the listing was accurate but the photo showed a bunk. Not a big deal but when four 50+ year old men are staying there, we all expected our own sleeping space! 🙂 The unit had great portable humidifiers. Us almost sea level people like some humidity in the air. Kitchen was typical size for a double there, but definitely could use an extra setting of plates to help reduce dishwashing time! Workout facility in the parking garage was actually one of the larger ones I have seen in the condos including free weights. All in all, a good place. Would rent again if the need arose. We usually get 1-2 3BR units in Buffalo but this year only four of us could make the trip so figured we would try Silver Mill. Spent 4 days in the unit for a wedding. The location was ideal for all the festivities and the unit itself was very comfortable with everything we needed. We really enjoyed this property, especially being so close to all the activity and restaurants in the village. Definitely recommend! The condo was great- just what we were looking for. 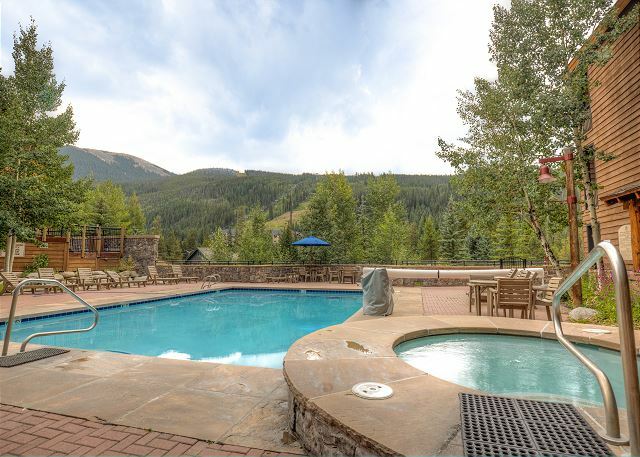 Would love to stay there again.Keystone village is amazing. Close to tons of stuff to do. Miss Keystone already!!! We enjoyed our weekend very much. The condo was in the perfect location for a festival. We liked the condo but it does not have a tv in the master bedroom. I went back and looked at the description which only lists a tv in the guest room. I didn't pay attention initially because I would assume there was a tv in the master bedroom. For the price of the condo, you need to add one. We enjoyed the location on the 3rd floor with viewing of the village walkway. Convenient to food and drinks. People were loud at midnight which we could hear and needed to close windows. Suggest magnifier mirror, better bathroom fans, and demusting the room odor. Fix the wand on patio door, bra was left by last tenant, kitchen lighting too dim...perhaps dimmer switch with stronger bulbs. This guest was upgraded to another property due to an Airbnb error. 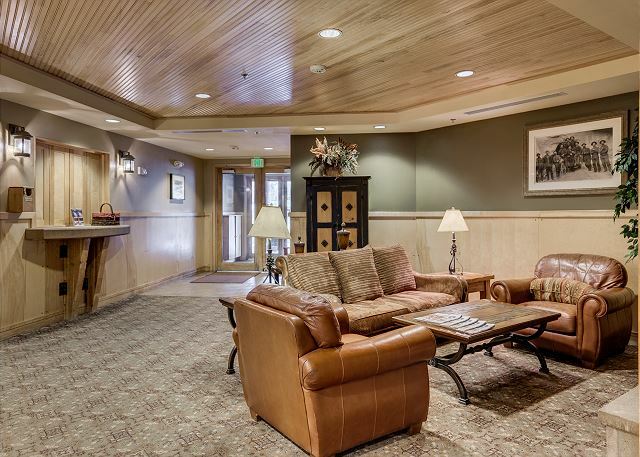 We loved this condo - had everything we needed and an excellent location. We had three adults and three kids under 10 and were very comfortable. The unit is a little far from the elevator, but totally worth it because it looks over the village square area. Great balcony in the sunshine to enjoy after skiing. Short walk to the gondola, ski shops and restaurants. Ski storage conveniently located on first floor. Also, the management company was so organized it made everything super easy. Absolutely recommend this vacation home. This condo was well furnished and had ample room for the six of us. They provided plenty of towels, Kleenex, trash cans and kitchen supplies. 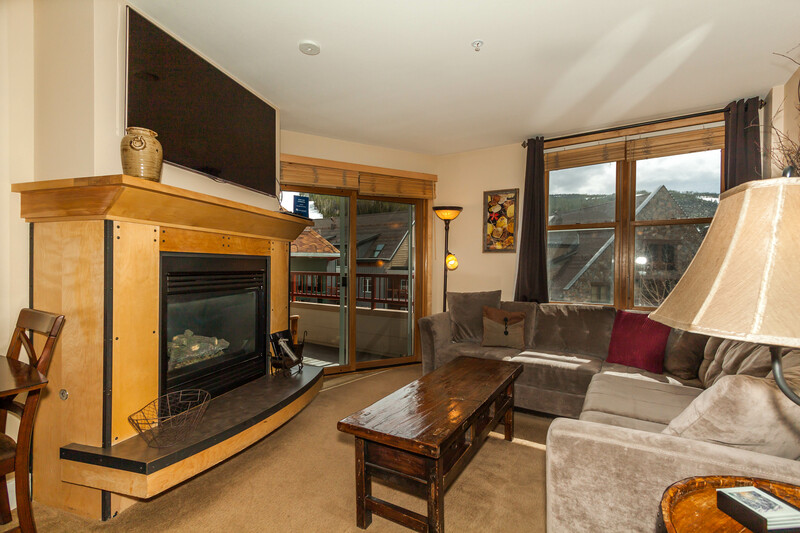 Very cozy and has a beautiful view of the main streets of River Run. We ran out of toilet papers and garbage bags, and the oven hadn't been cleaned and we were unable to use it due to the smoke it produced. We left a note in hopes they would get it cleaned for the next renters. I would love to stay in this rental again. 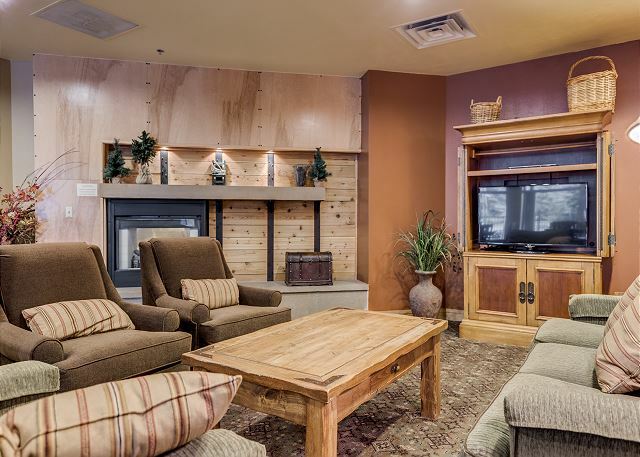 This was by far the best condo we have stayed at in Keystone. The room was impeccable with all the luxeries of home. Only complaint was the fireplace not working but the staff was all over any questions or concerns we had. 10 out of 10! We will defiantly stay again. Thank you. Thank you for the kind words! There has been a problem with the getting the air properly balanced in the building. Management is working with HVAC pros to resolve the issue. Very nice place. Great location. Fit the 5 of us very well. Place was perfect. The property lives much bigger than the actual square footage. This is a great condo - kitchen well equipped with everything you need to cook. Very well kept. We have stayed in several condos in SML and this is by far the best. It was great. The location was close to where we wanted to go. We were there for a wedding in Dillon. We condo was clean and very nice. No one was around, but management responded quickly to the one request/issue we had with a keycard. This was a well decorated and the furnishings were well thought out with respect to size and placement. Master bed was very comfortable and the guest beds seemed to be of the same quality. Kitchen was very well stocked with pots, pans, dishes, etc. Plan to stay here again. We love Keystone and this condo. We really enjoyed our stay at the Silver Mill #8214. It was the perfect getaway for our family. Downhill mountain biking, Bacon Festival, all female AC/DC cover band, great place to stay. Terrific- but don't want to say too much! Terrific- but don't want to say too much! Cause we don't want it booked by someone else the next time we can manage to get away. Sssshhh!~CarriePs An elevator was down and don't bother going to the Dakota pool.